Wilms tumor is the most common cancer of the kidney seen in infants and children. It is made up of tissue that comes from immature cells of the kidney. Wilms tumor also known as ‘Nephroblastoma’ is named after Dr. Wilms, a pathologist who first described the tissues from which this tumor arises. 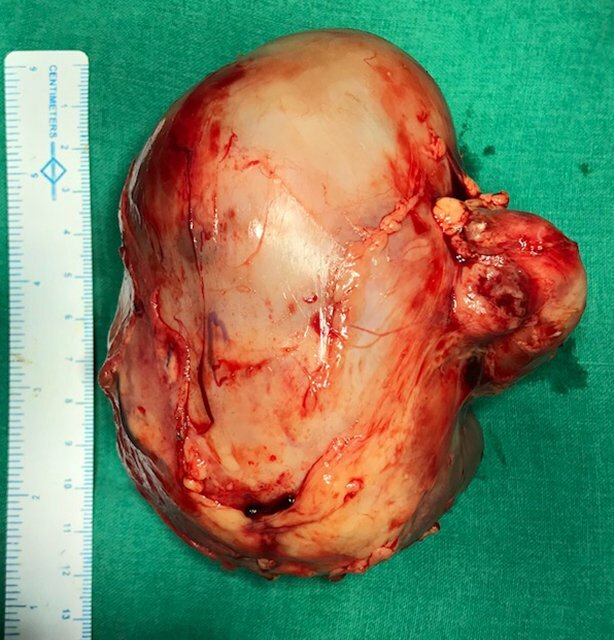 How common is Wilms tumor? Wilms tumor constitutes approximately 10% of all childhood cancers and is the second most common solid tumor in infants and children. 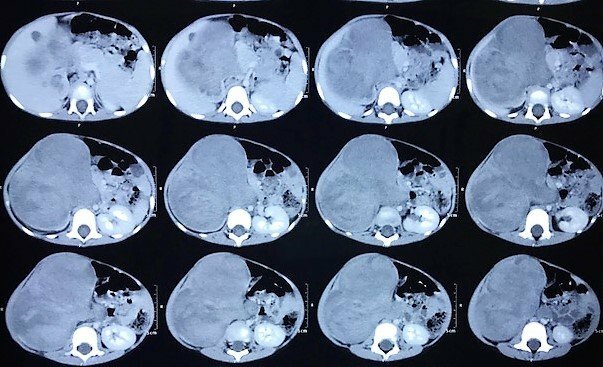 The average age of the patient at presenting with Wilms tumor is three years of age and it is most commonly seen between six months to eight years of age. The most common presentation is a firm, large, non-painful abdominal mass, commonly felt by a parent during a bath or a pediatrician. The child may also have high blood pressure or blood in urine (hematuria) on presentation. Other findings may include weight loss, loss of appetite or decreased energy level. Blood investigations, urine examination, sonography and X-ray of the abdomen and CT scan (abdomen & chest) are the required investigations. CT scan will pinpoint the origin of the mass. It will also show the size and extent of the mass, local spread of the disease (if any), resectability(can the tumor be safely removed or not), status of opposite kidney and status of the lungs. 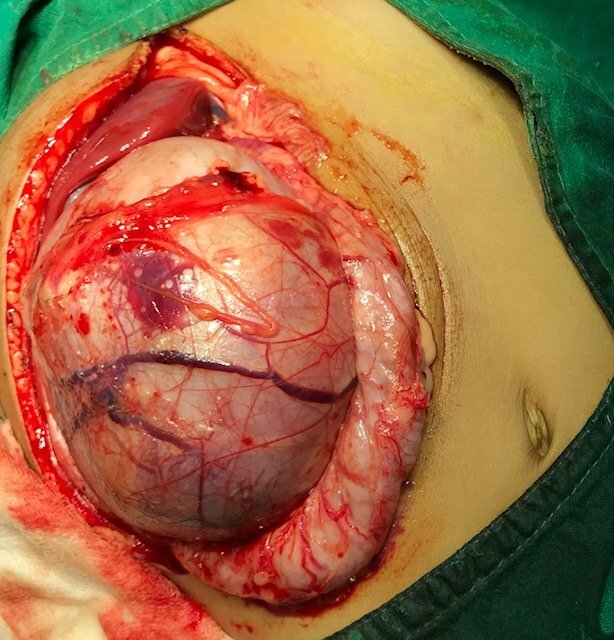 Surgery: The type of operation needed for Wilms tumor depends on the extent or spread of the tumor. Radical Nephrectomy; If the tumor is all within the kidney and no spread is seen outside of the kidney, removal of the involved kidney (radical nephrectomy) may be the only treatment needed. Biopsy: If the tumor is in both kidneys, or has spread into the vena cava (large vein next to the kidney) or the lungs, the initial treatment may not be surgery. In these cases, a biopsy of the tumor is needed to see what type of tumor (aggressive or not aggressive) exists. Insertion of Chemotherapy port/catheter: The child may have to undergo the surgical procedure for insertion of Hickmann catheter or Chemotherapy Port into large caliber central vein for chemotherapy administration. Chemotherapy and Radiotherapy: In situations where the tumor is aggressive or it goes beyond the confines of one kidney, chemotherapy has been shown to make the overall outcome better for the child. Once the tumor shrinks, then definitive surgery to remove the main tumor is performed. The prognosis of Wilms tumor depends on many factors including child’s age, the size (weight) of the tumor, the aggressiveness of the tumor cells as determined by their properties (tested by the histopathologists) and tumor spread. Depending on any and/or a combination of these factors, the child may need surgery alone; a combination of surgery, chemotherapy and radiation; or even stem cell transplant. Future outcomes from Wilms tumor depend on the aggressiveness and stage of the tumor. Long-term outcomes may also be affected by side effects of the chemotherapy. It is best to have these individualized discussions with the surgeon and oncologist.